While it has become the accepted norm that a car will never match its claimed MPG figure, there are some cars that fall way short of what the manufacturer claims. The gap between the official figures and the economy people are actually seeing has widened over the past years. These then, are the cars currently on sale that fall shortest of their claimed MPG figure. As Real MPG is a live database, these figures will change over time. We have used models that have at least 50 Real MPG submissions. The headline figure here looks pretty awful, with the plug-in hybrid version of the C-Class getting nowhere near its claimed economy. 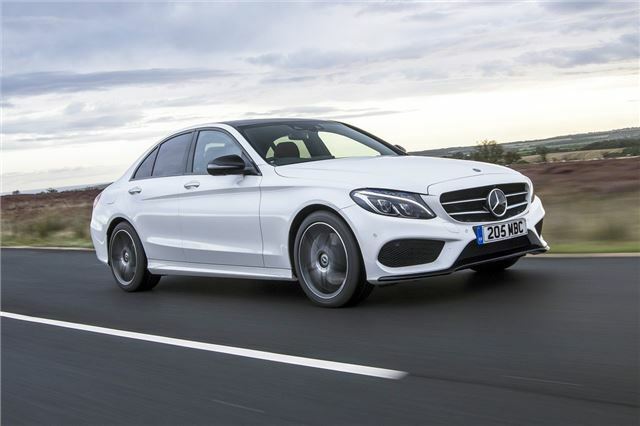 But the C 350 e is a victim - if you can call it that - of the woefully inadequate NEDC test. A test that only covers 11 miles and is carried out in a laboratory. Due to the fact it's a plug-in - and running for electricity for the majority of that test - its official figure is 122.8mpg, hence why it falls so short. The fact that the test is partly lab based is irrelevant. It is the way the test protocol is set up that causes the problem. MPG figures for plug-in hybrids are meaningless because the length of you average journey has a dramatic influence. If you only do journeys of say 20 miles, your mpg figure could be infinite. On the other hand, if you are going long distance, without the opportunity to recharge, the figure could drop to 40 or even less, depending on the vehicle. I would add the petrol powered Ford Kuga 1.5 Ecoboost to the list. Real mpg is in the mid 20s, far lower than Ford promised. I own my second Outlander PHEV. The fuel consumption for a large 4WD, 2 litre petrol engine is excellent. Anybody that believes the sales pitch of nearly 150 MPG needs to see a Doctor. I read various comments on forums prior to purchasing. he good news is if your self employed and run this through a business, the tax breaks are very good. My neighbour had a 1.0 Ecoboost that averaged 36mpg at best, and that on a 60+ mile round trip on fairly quite roads and at a sedate pace; yet the dealership kept fobbing her off for over 2 years with claims it needed bedding in etc.